After Robert Mathis and Antoine Bethea, who is the third longest tenured Colts defender? The answer might take a while before it pops into one’s head. For the first time in nine months, Fili Moala will join his teammates on the practice field Tuesday afternoon. Moala, who was a 2009 second-round draft pick of the Colts, was activated off the Colts PUP list on Monday after he tore his ACL in late November last year. “It’s been a long time so I’m excited to get back out there and see if I can still contribute,” Moala said on Tuesday. Since 2010, Moala has started every game (38) he’s played in with the Colts including eight starts last year in a new defense. 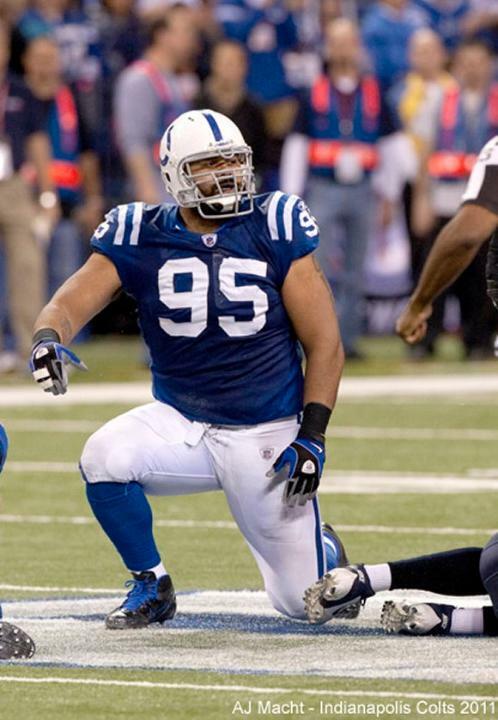 Moala is one of three Colts (Donald Brown and Pat McAfee) who are still on the roster from the team’s 2007-2009 drafts. Each year, Moala is constantly welcoming new faces into the Colts locker room and he likes what he’s been seeing this season. Next up for Moala is getting back on the practice field with a goal being to play in one of the Colts final two preseason games.